The H-1B visa is popular because of its low entry barrier (a bachelor’s degree), its portability (allowing the holder to change jobs) and its tolerance of the candidate’s “dual intent” (by allowing an H-1B holder to transition to a permanent residence without returning home). Its main weakness is the annual cap on the number of visas approved, which renders the process quite competitive. How Does the H-1B Process Work? The H-1B allows an employer to hire a highly skilled worker, even if the worker is not a citizen or permanent resident of the US. The employer may file a petition on behalf of someone already in the US (on an F-1 student visa, for example) or someone located abroad. It is the employer who must file the petition, not the candidate, and the candidate cannot be issued an H-1B visa without the support of the employer. Work as a fashion model of exceptional merit and ability. Processing time averages four to seven months unless Premium Processing is selected (see below for details). An employer is not allowed to begin the H-1B petition process less than six months prior to the candidate’s intended start date. 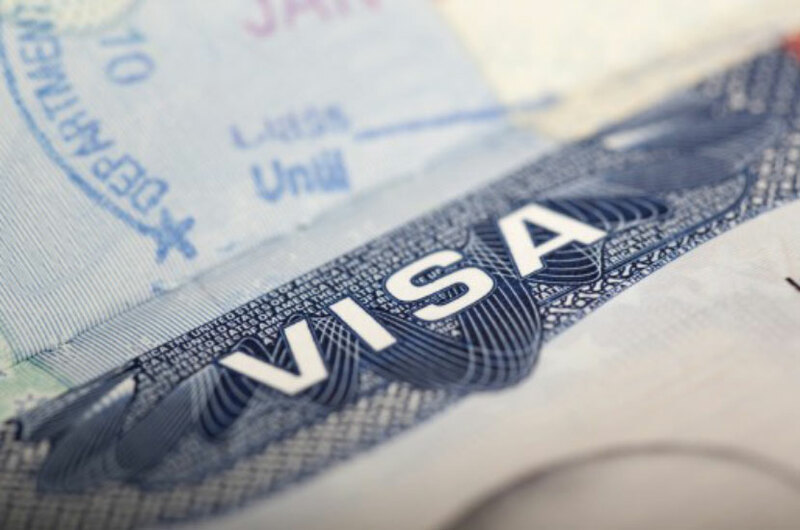 Visa processing runs from April through October of each year. US law defines “specialty occupation” as an occupation that requires the “theoretical and practical application of a body of highly specialized knowledge.” Typically, the job must require a bachelor’s degree, and the candidate must possess a bachelor’s degree or its overseas equivalent. It is sometimes possible to obtain an H-1B visa without a bachelor’s degree, but in that case, the candidate should have at least 12 years of experience in a related field. To establish a legitimate employer/employee relationship, the employer must have issued a definite, full-time job offer to the candidate, and the candidate must have accepted it. The candidate’s proposed duties must be specific, the job must be a ‘specialty occupation’, and the candidate must be qualified to perform it. The candidate cannot be an independent contractor in disguise — the employer must have the right to control when, where, and how the candidate performs the job. The USCIS will make its decision on a case-by-case basis based on the totality of the circumstances. The employer must not pay the candidate any less than he would have paid a US citizen employee. This is required not only to protect the candidate from exploitation, but also to protect US workers from being laid off in favor of cheaper noncitizen employees, and from being forced to accept lower pay to compete with them. Employment in the US under H-1B status requires certification from the US Department of Labor (DOL) before the H-1B petition is sent to the USCIS. The application must be submitted online through the DOL iCert website on Form ETA-9035. There is no strike, lockout, or work stoppage arising from a labor dispute in that occupation. Misrepresenting any of the foregoing can result in serious penalties against the employer, including criminal penalties. There is no fee for filing an LCA application, and processing takes roughly a week. Filing fees can be a significant consideration in an H-1B petition: Following is a list of current frees. The standard filing fee is currently set at $460. This fee applies to each submission of a petition, a re-filing, an amendment or a renewal. Training fee: The training fee is $750 for employers with 1-25 full-time employees and $1,500 for all other employers except for certain exempt employers. Many cap-exempt employers are exempt from the training fee. Fraud prevention fee: First-time H-1B employee applicants, and H-1B employees seeking to change employers, must pay a $500 fraud prevention fee. This fee does not apply to extensions with the same employer. There is a $4,000 fee for companies with more than 50 employees. if more than half are on H-1B or L immigration status. Fees also apply to certain optional services such as Premium Processing and H-4 visa petitions (see below). The fee must be paid with a check or money order drawn on a U.S. bank in U.S. dollars, payable to “USCIS.” It is against US law for an employer to ask a candidate to pay any of these fees himself. The employer must deliver a definite, full-time written job offer to the candidate, and the candidate must accept the offer. The employer must submit a Labor Condition Application(LCA) to the DOL, wait for approval, and comply with intra-company employee notification requirements. The employer must prepare an H-1B petition and gather supporting documentation. The employer must file the H-1B petition, along with the filing fee, with the appropriate USCIS service center. 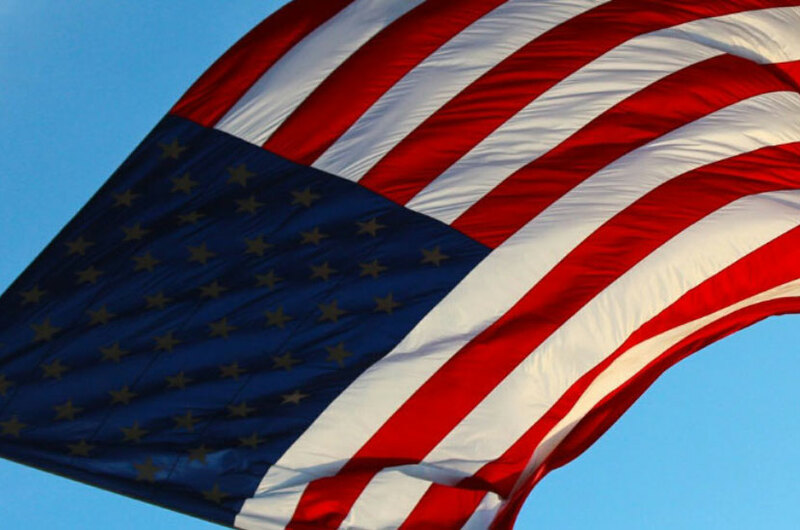 The USCIS will notify the employer if the petition was selected in the H-1B lottery. If the petition is selected in the lottery, it will be reviewed by the USCIS. If it is not selected, the USCIS will return the filing fee. After examining the petition, the USCIS will either approve it, deny it or send a request for additional evidence (RFE). If the candidate is located abroad, he or she must make an appointment for an interview with the appropriate US embassy or consulate, and bring all H-1B documentation and his/her passport so that the embassy or consulate can stamp the visa on the passport. WARNING: Multiple filings for the same candidate by the same employer are not allowed and can be penalized. Form G-28 (if the employer is represented by a lawyer or an accredited representative). Supporting documents required by the instructions for the above forms, such as evidence of the candidate’s educational qualifications (transcripts, etc. ), along with a table of contents for ease of reference. Form I-94 (Arrival/Departure record) if the candidate is currently in the US. Form ETA 9035, Department of Labor certified Labor Condition Application. Other supporting documentation may be required (for example, the I-20 if the candidate is a current or former student present in the US on an F-1 visa). A copy of all of the foregoing forms and documents, if the candidate will be applying for an H-1B visa at a US embassy or consulate abroad. Clearly, mark it “COPY”. A check or money order for all applicable filing fees. Additional documentation will be required if the petitioner is located outside of the US and therefore requires consular processing to have a visa stamped onto his passport so that he can enter the US. The Regular Cap: The standard cap is 65,000 approved petitions per year. The C/S Cap is 6,800 for Chile/Singapore H-1B1 petitions, taken out of the 65,000 regular cap (1,400 for Chile and 5,400 for Singapore). The U.S. Master’s Degree Cap is 20,000 approved petitions for candidates with a US master’s degree or higher and a job offer that corresponds to this level of expertise. Cap-exempt employers: Some employers are not subject to the H-1B cap at all. These employers include colleges and universities and non-profit organizations associated with them, as well as non-profit and government research organizations. It might even be possible to apply for a cap-exempt visa if the candidate will work primarily with a cap-exempt organization that is not their direct employer. Cap-exempt petitions: H-1B amendment, renewal/extension and employer transfer petitions are not subject to any annual cap. H-1B petitions are accepted beginning on April 1 of each year. Since the caps are usually reached within the first week of April, and since the visa process is very competitive, you must submit your petition during this short time window. Beginning in 2020, employers will have to register before the filing season begins on April 1. Among those petitions subject to the cap, the USCIS will select the appropriate number of petitions to process through a random lottery, and it will return the rest without processing, along with a refund for the application fees. Typically, between 30 percent and 50 percent of petitions are accepted for processing. A petition that is accepted for processing can still be rejected for deficiencies in the petition itself, and no refund of fees will occur simply because a petition was rejected. Processing will be completed by October 1. If the candidate has dependants who wish to travel with him, it is possible to apply for H-4 visas for his dependents. It is also possible for an H-4 visa holder to apply for employment authorization. Processing could take as long as processing for the H-1B petitioner, however, and the fee is currently set at $190. During H-1B processing, the USCIS will review the job description, proposed salary and the qualifications of the candidate. It will also carry out a background investigation of the candidate. Premium Processing is frequently suspended, especially during periods of high USCIS workload. An RFE (and, more ominously, a Notice of Intent to Deny) is a document sent to an applicant after processing has already started. It requests further evidence that must be submitted in a timely manner; otherwise, the USCIS will consider the petition abandoned and thereby reject it. The issuance of RFEs has greatly increased since 2017, although the RFE rate still has not reached 50 percent of all petitions submitted. An H-1B visa, initially granted with a term of up to three years, can generally be extended for another three years. After this six-year period expires, the employee must either return home or use some other status to justify remaining in the United States. Any “material” change in working conditions will require the filing of an amended H-1B petition and the submission of new filing fees. A “material” change could mean a change in job duties, working hours or job location. You may need an immigration attorney to help you determine whether a particular change is likely to be considered “material” by the USCIS. Portability is one of the main inherent advantages of the H-1B visa. It applies not only to employees in H-1B status but also to former H-1B holders who are awaiting adjudication of their petitions for permanent residence. With portability, an employee in valid H-1B status can start a new job with a new employer as soon as the employer files a new H-1B petition for him, without delaying his start date until the USCIS accepts his petition and without waiting for his original H-1B visa to expire. Additional filing fees will be necessary. If the employee’s petition is rejected, or if he gets fired or laid off from his job, he enjoys a 60-day grace period before he must leave the US, during which time he can seek further employment with another employer willing to sponsor him for H-1B status. This setup can work well for the original employer as well since if an H-1B employee changes jobs, the former employer is excused from paying for the employee’s return flight home even if it the former employer laid him off or fired him. The O-1 visa: Available to outstanding professionals with advanced degrees, who have achieved prominence in their field. The TN visa: Based on NAFTA, this visa is available to citizens of Canada and Mexico. E-3 visa: Similar to the H-1B and available only to citizens of Australia. L-1 visa for intra-company transferees who are managers or executives, or who posses specialized knowledge. These are not the only options — another type of visa might be available, depending in the circumstances. The Program Electronic Review Management (PERM) process: The employee must advertise for the position and show that he could not fill it with a US worker. EB-1: This status is available to employees with advanced degrees or prominence in their field, but it is also available to certain skilled workers and professionals. National Interest Waiver (NIW): This status is available to an employee with an advanced degree and exceptional ability in a field that is of substantial intrinsic merit to US national interests. The Trump administration has been targeting entry-level positions for increased H-1B scrutiny. The USCIS is now issuing NTAs (“Notice to Appear”) to applicants who were turned down for visa extensions or permanent residence petitions. The USCIS is cracking down on the use of the H-1B to outsource jobs through subcontracting, especially to foreign IT companies. More developments are likely, although they might not all be negative. Nevertheless, it is more important than ever to keep current on what is going on with H-1B law and policy before filing an H-1B petition.